Express.js feature for mobile Apps and Website. It is also using a single page website, multiple pages website. It is using dynamic HTML pages templates. Step-1. Firstly we have Install Nodejs if you have already installed no need to install again.if you want Install Nodejs to see my last post. Step-2. 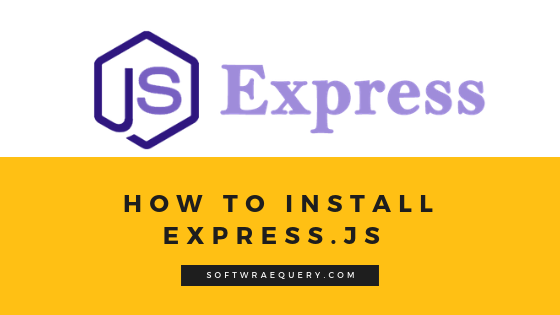 After installing Nodejs we are going to install express. Create a folder with name Nodejs Apps then open cmd and write a command $cd Nodejs Apps. Step-3. Write another command $npm install express --save. Step-4. Write a next command $npm install express-generator -g.
step-5. Then write the next command $express demo1 then write command $cd demo1. Step-6. Install npm to write a command $npm install. Step-7. After Install npm write a command to $npm start then go to browser open tab and type localhost:3000.